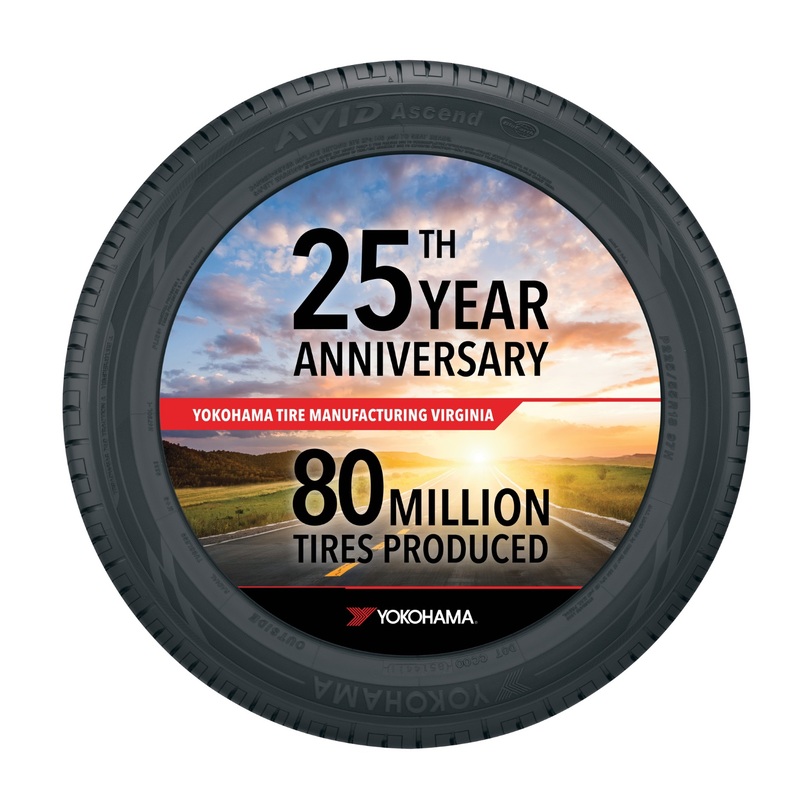 SANTA ANA, CA (Dec. 21, 2015) – Two major milestones recently occurred at Yokohama Tire Manufacturing Virginia, LLC (YTMV): the Salem, Virginia facility celebrated its 25th anniversary and produced its 80 millionth tire. YTMV has also been at the forefront of Yokohama’s environmental achievements in the U.S. This year, the plant became a zero landfill operation and received the 2015 Environmental Warrior Award from the Virginia Water Environment Association (VWEA). The award was bestowed to YTMV as part of VWEA’s 2015 Industrial Waste and Pretreatment Environmental Excellence Awards Program. YTMV has additionally been highly active in its parent company, The Yokohama Rubber Co., Ltd.’s, ongoing global initiative, Forever Forest. The initiative aims to plant approximately 500,000 trees around Yokohama’s facilities worldwide by 2017. In 2009, YTMV became the first Yokohama plant to hold a tree-planting ceremony outside of Asia. Since then, nearly 11,000 trees have been planted at the Salem facility. The plant has been ISO 14001 Environmental Management System-certified since 2007. Yokohama Tire Corporation is the North American manufacturing and marketing arm of Tokyo, Japan-based The Yokohama Rubber Co., Ltd., a global manufacturing and sales company of premium tires since 1917. Servicing an extensive sales network throughout the U.S., Yokohama Tire Corporation is a leader in technology and innovation. The company’s complete product line includes tires for high-performance, light truck, passenger car, commercial truck and bus, and off-the-road mining and construction applications.